In 2008, I was excited to start a new job. To make a great impression, I wanted to buy a new outfit to wear for the interview. I walked into my favorite store and walked out in tears realizing I had increased a full pant size. It was this day that I decided something needed to change–I just wasn’t happy anymore. A food diary – You monitor the points of the foods you’re eating. Every plan has a food limit per day, whether by points or calories. I was allowed 20 points per day. Once you figure out the point system, it will make the monitoring easier because you will remember how much each food item will cost you in points. A food scale – Not all foods will come with nutritional information. So you need an accurate digital scale to weigh your foods like cooked chicken breast, bananas, and more. A weight scale – Choose one day a week to weigh yourself. My day was always Mondays. A cheat day – This is ONE day a week where you allow yourself what you crave the most. For me it was nachos, so for dinner Mel and I would make a huge platter of nachos and go nuts. My cheat day was always Fridays. Working out – I workout every second day for about 30–60 minutes. In the beginning, I needed motivation and joined a gym. Now I work out in my homemade gym in the basement. Since the start of my journey, I have lost 30 lbs and I am keeping it off. I am a lot happier and more confident. Eating healthy and exercising are now a part of my life. 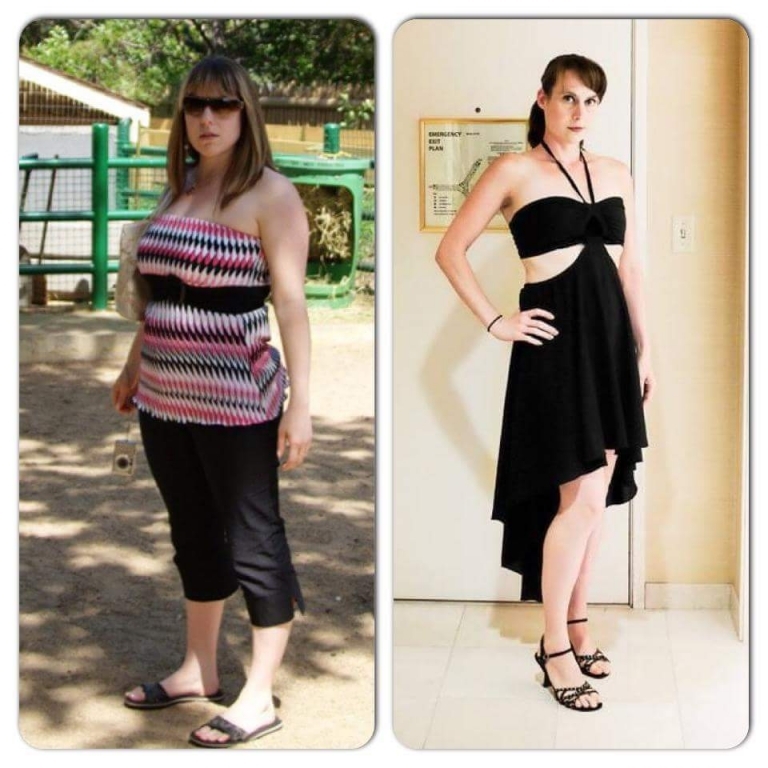 It was a huge lifestyle change and I am glad I took the plunge. Now it’s engrained into my head all the points, tips, and tricks. Eating healthy is second-nature to me now and I want to share my story in hopes to help others who are struggling or just anyone who wants to eat healthier. Please visit my blog frequently for additional weight loss helpers and great healthy food ideas.